Belvoir Village Motel & Apartments offers an assortment of one and two bedroom motel units and self contained apartments, set among 2 acres of gardens and trees. A sparkling salt water pool forms the central feature of the Village design. 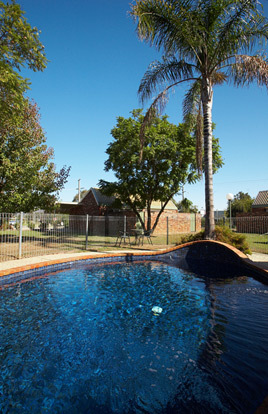 With spacious ground floor rooms in blocks of two, each with a covered carport, and individual private rear courtyard opening out to the shady pool and BBQ area, the Belvoir Village Motel & Apartments provides restful and relaxing accommodation for a variety of guests, including families, couples and those traveling for business. Belvoir Village Motel & Apartments is located close to Wodonga Shopping Centre, the city's numerous Health, Education and Sporting facilities, and within easy reach of the Hume Freeway. As well as being central to the twin cities of Albury and Wodonga, the Belvoir Village Motel & Apartments is only a short drive to the many regional Wineries, Gourmet Food Outlets, Historic Towns, and the Snowfields. Whether visiting Albury/Wodonga, or traveling through, the Belvoir Village Motel & Apartments provides a convenient off-highway location from which to base your stay. 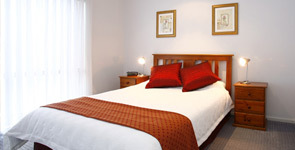 We offer a choice of Motel Units or Apartments, in a selection of configurations to suit your requirements. Check in/out is available outside office hours by prior arrangement. The Belvoir Village Motel and Apartments offers relaxing accommodation for all guests in spacious rooms, set in laid-back garden surrounds.